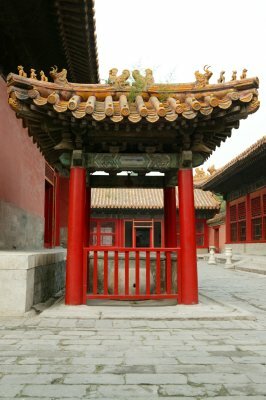 The Hall of Alignment with the Dao (Tongdao tang) is the rear hall of the Palace of Universal Happiness (Xianfu gong). In the Qing dynasty (1644-1911), the Qianlong Emperor (r. 1736-1795) converted it into his occasional dwelling where a study was opened up to preserve zithers and antique paintings. The current furnishing presents what it looked like in late Qing dynasty, with horizontal boards mostly inscribed by the Xianfeng Emperor (r. 1851-1861). Shortly before the invasion of British and French allied forces, the Xianfeng Emperor ate his meal here and then resolved to flee to the Mountain Villa to Escape the Heat (Bishu Shanzhuang). 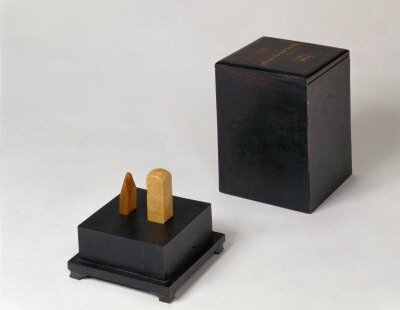 On his deathbed, the Xianfeng Emperor granted the "Hall of Alignment with the Dao” seal to his heir Zaichun, and the "Imperially Appreciated” seal to the Empress Dowager Ci'an. 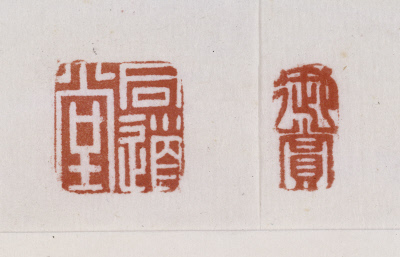 The two seals combined would certify the imperial edict. Nevertheless, the former one was practically controlled by Zaichun's mother, the Empress Dowager Cixi.